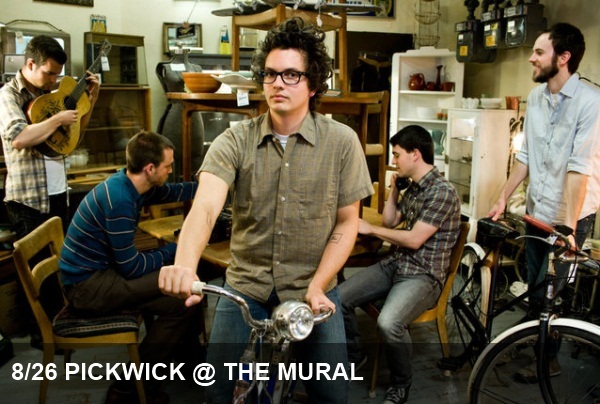 Pickwick is making quite the splash with their modern take on yesteryear’s most groovy genre of music, so it should come as no surprise that they are being featured in the lineup at tonight’s KEXP Concert at the Mural. The indie-rock-turned-funky-soulsters are going to liven up the Seattle Center and just to give you fair warning, dance parties will likely ensue. Once again, grab a cooler of tapas and refreshments, a picnic blanket and a few of your friends and head to the Mural at Seattle Center in the shadow of the Space Needle. Pickwick will be joined by Shane Tutmarc, Ravenna Woods and Drew Grow & the Pastors’ Wives.